(Issue 31) We don't send spam. We don't give out your email address. Ever been to a street food festival where the twenty best Midlands-based vendors are in one place? In fact, don't answer that. We know you haven't, it's never happened before. It's happening tonight. Digbeth Dining Club is playing host to the regional heats of the British Street Food Awards and your attendance is urgently requested. When it comes to what to eat, the good news is, nothing will disappoint. But, having eaten food from almost every trader on numerous occasions, we feel qualified to tell you the standouts. DETAILS: Made from beef sourced from a local, family run butchers, the meat is cooked for 12 hours in a tomato base with chipotle and ancho chilli, cumin, Mexican oregano and cassia bark, until it's thick and rich. 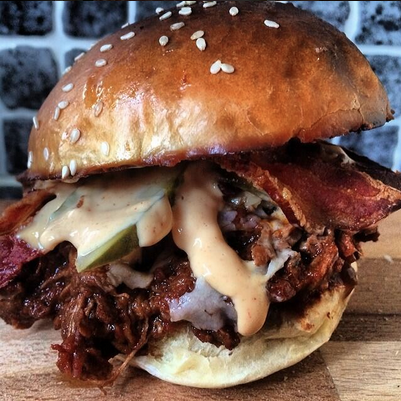 It comes with hickory smoked bacon, fresh slaw, pickle and BBQ mayonnaise and is served in an artisan brioche bun. The man's a genius. DETAILS: Regulars at Moseley's Prince Of Wales will know their work. 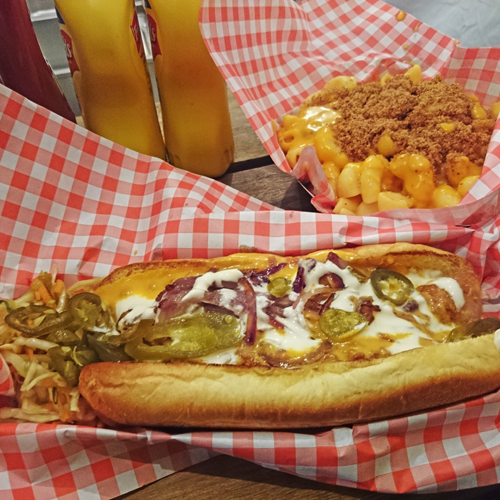 Using only Lashford sausages (local snags that have won over 155 awards since 1980) the F***ing Chilli Dog is their most popular and comes with chilli con carne, nacho cheese sauce, jalapenos, onions, sour cream and a show-stopping jalapeno coleslaw on the side. The mac 'n' cheese (£5) is a worthy add on. DETAILS: Owner Sai Deethwa is from a family of successful street food traders from rural Thailand. 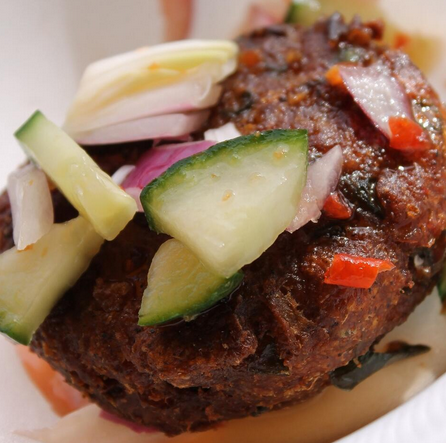 The former Masterchef contestant's food is produced from scratch and she lists her fishcakes (served with red onion and cucumber relish) and her five spice pork with jasmine rice (£6) as her own personal favourites. Head to Buddha Belly for great vegetarian options, too. DETAILS: Fancy a side dish? Step forward Fat Duck Spuds. 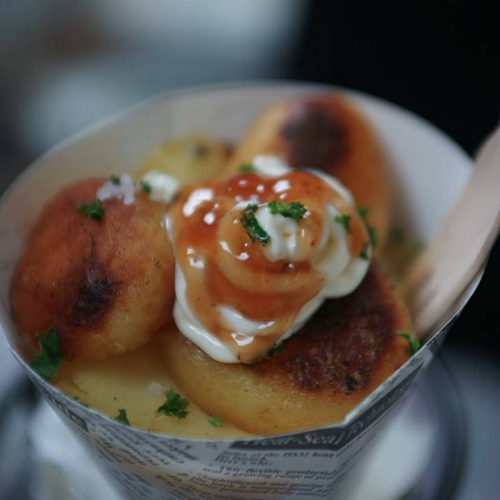 Their cone of roasted potatoes are the perfect add on for the insatiably peckish. An hour and 25 minutes of love goes into cooking the tatties. They're steamed, then roasted in a duck fat imported from an award-winning duck farm in Ireland. 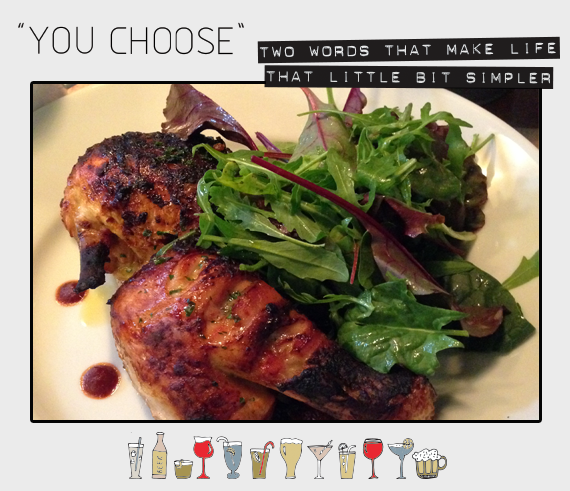 There's a choice of dressing: mayonnaise, garlic mayo, sweet chilli, BBQ and sour cream. 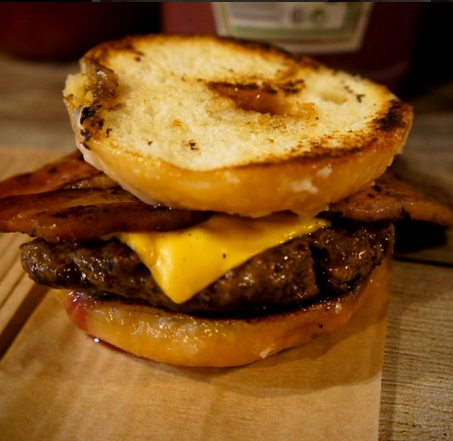 DETAILS: The bun is a halved, glazed Krispy Kreme ring donut which houses a stunning beef patty topped with maple bacon, American cheese, mustard and ketchup. Originally called 'The Krispy Kreme Burger', the US donut behemoths politely banned the Patty Men from using their name so they renamed it Big Vern's Krispy Ring after Vernon Rudolph, the founder of Krispy Kreme. It's stunning. 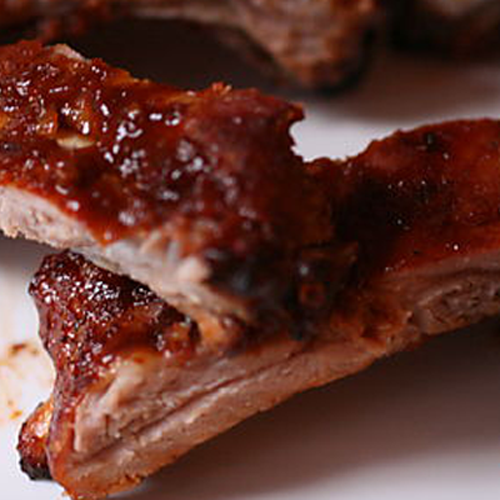 DETAILS: Question: How do you cook 25 racks of ribs in one go? Answer: In a four storey filing cabinet. Even if you choose not buy anything from these guys (which would be madness), you need to check out their incredible officey oven. They use free range pork baby back ribs, which they smoke and cook for six hours. Their sesame fried chicken (£4) is also ace. 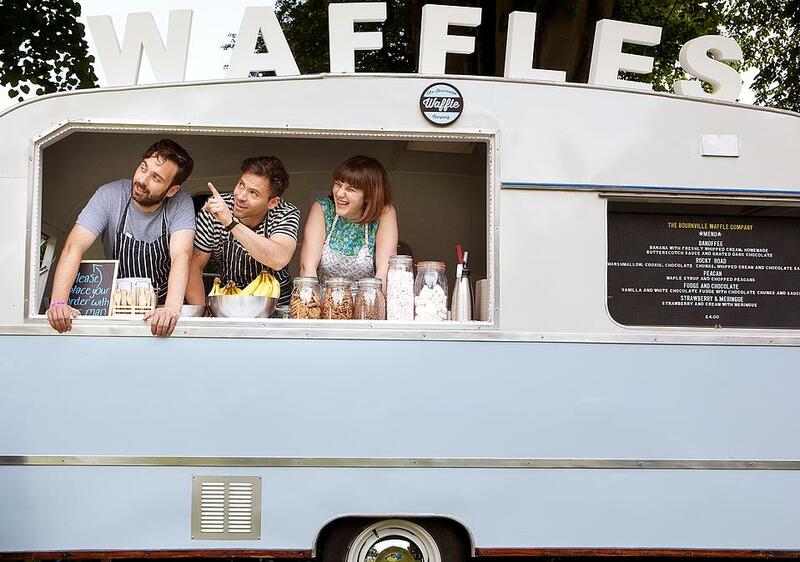 VENDOR: The Bournville Waffle Co. DETAILS: Working from their lovingly-restored Mustang caravan (pictured, top), these guys make almost every topping from scratch. 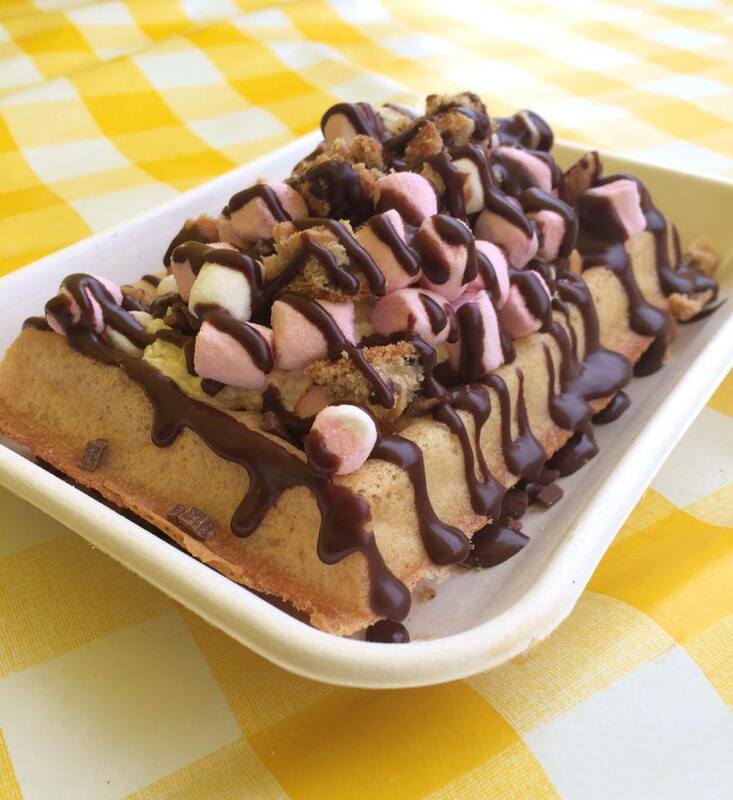 The Rocky Road waffle with fresh whipped cream, marshmallows, cookies, chocolate chips and their hot chocolate fudge sauce (Bournville dark chocolate combined with local double cream) is the pick of the menu and is, unsurprisingly their biggest seller. British Street Food Awards, May 2, Lower Trinity Street, Digbeth, B9 4AG, 5pm - 12pm. Entrance is free. You need this app to vote. We're ever so partial to this print, by a team of conceptual artists known simply as Dorothy. Their love of post-war architecture inspired 'Lost Destination', a series of prints that celebrate the uniqueness of brutalist structures. "Love or loathe them," they say "there's something poignant about how these buildings once symbolised a brave new world only to be dismissed, derided or demolished by the future they looked to." 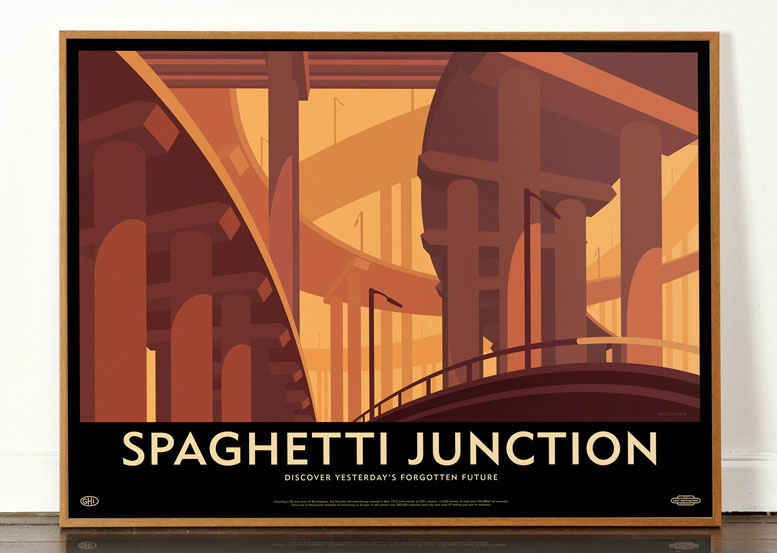 As well as the Spaghetti Junction prints include Forton Services (Lancaster), Fylingdales (North Yorkshire), Tricorn Centre (Portsmouth) and Preston Bus Station (in, erm, Preston). Prints cost £35 or you could, potentially, win one by clicking here. What's the difference between anime and manga? Anyone? Anyone? Bueller? We'll tell you. Anime, is the Japanese word for "animation" whereas manga, is the Japanese word for "comic". If you're anything like us you've often threatened to get into one or the other, and - in anime terms - now's your chance. 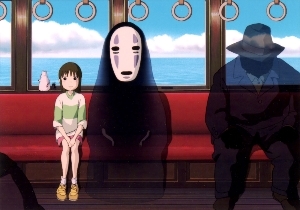 This month, The Electric Cinema is running a season of films celebrating veteran animator Hayao Miyazaki, a man responsible for some of the most awe-inspiring anime ever produced. The full schedule is here but for our money it's all about the Oscar-winning masterpiece Spirited Away, which has been described as a modern day Alice In Wonderland. Tickets from £7.80. Poke your head in at the Library Of Birmingham and have a gander at the 'Photographer's Wall', which showcases the work of some of the best snappers based right here, in the West Midlands. 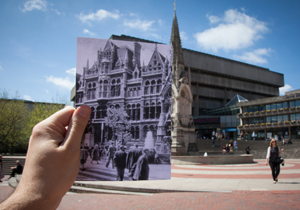 I CHOOSE Birmingham favourites Verity Milligan and Tim Cornbill are among the shutterbugs on display, the latter of which took the above photo as part of his stunning Birmingham Retrospective, a collection in which he held photographs of yesteryear up against modern day Brum. All the images on the 'Photographer's Wall' were submitted to the rather splendid Some Cities website, which invites photographers of all abilities to share their images of Birmingham. Do so. There are pros and cons to having an open kitchen. The main 'pro' is that your customers can see what a tight ship you're running. A 'con' perhaps, is that problematic customers can stand at the pass during lunch rush hour, demanding to know what one dish the chef recommends, if pushed. We did that and the incredibly patient chap's choice was sublime. Perfectly cooked chicken and a deliciously crisp skin sat beneath a smoky as hell sweet barbecue glaze. A colossal portion of bird perhaps warranted more fries, but that could easily be put down to utter greed on our part. Terrific food.